In the Palestinian West Bank town of Birzeit early last February 27, the Israeli Occupation Forces (IOF) acted determinedly, under the media spotlights, to feed Amnesty International with a show case study to vindicate the report it released only hours earlier, entitled "Trigger-happy: Israel's use of excessive force in the West Bank," and to refute the Israeli official diplomatic denial of the contents thereof. Under the command of Col. Yossi Pinto, a Nahal infantry force of the Binyamin Territorial Brigade, joined by the Border Police's elite Counterterrorism Unit, Yamam, according to Israeli The Jerusalem Post on the same day and "200 Israeli soldiers, dozens of jeeps, two (military) bulldozers and many Shin Bet [internal security] officers" according to Amira Hass of Haaretz on this March 3, including some 28 – more than thirty army patrol armored vehicles according to the count of Arab natives of Birzeit who spoke to this writer, were amassed in this Birzeit University town, raising a hell of explosives and gunfire and disrupting its peaceful countryside early spring morning. Amira Hass was on the scene. Wondering what was all that military mobilization for, a former mayor of Birzeit told this writer that he heard her asking in repudiation, "Was it (the late al-Qaeda founder Osama) Bin Laden inside?!" Their mission, according to Israeli military spokespeople, was to arrest a "wanted individual" who, according to the Shin Bet internal security agency, quoted by Hass, had "intended" to carry out an "aggressive operation" against Israeli targets. An Israeli army spokeswoman said the man was "suspected" of "terror activity." www.israelnationalnews.com on the same day quoted "the IDF Spokesman's Unit" as saying that he was "a wanted man suspected of terror activity." Gideon Levy in Haaretz on this March 2 quoted "the military correspondents" as repeating what the "IDF claimed" that the man "had the intention to carry out a terror attack in the near future." 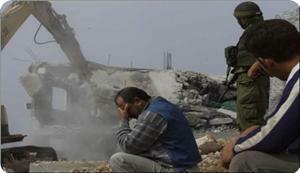 Hass wrote: "In the unofficial Israeli law code, unproved "terrorist intentions" are enough to be punishable by death. In Hebrew, "terror attack" is a magic phrase that exempts the Israelis from wondering why an arrest needs so many troops and fanfare, and has such a murderous end." Gideon Levy sarcastically repeating the self-described as "the most moral army in the world" wrote that the Israeli army "is also an army that reads intentions," but Levy did not add that this army has had it as a rule to act accordingly as well. An Israeli army spokeswoman said: "After the suspect was called to turn himself in, he barricaded himself inside his house, effectively resisting arrest. Under the premise that he had weapons in his possession, the forces used different means to complete the arrest, including live fire." The "suspect" was 24-year old Muatazz Abdul-Rahim Washaha, an unemployed Palestinian native of Birzeit. Hass questioned the accuracy of this statement. Claiming that the victim had "barricaded himself" in would make people "think he built a fortress and surrounded himself with explosives. This is very inaccurate," she wrote. The IOF Spokesman's Office said that the "troops forcibly entered the building and found his body." Hass said that "this is a lie." "The elite police unit had shot Washaha at point-blank range dozens of times, according to the pieces of brain that covered the room, not to mention his legs, arms and fingers that were nearly severed from his body," she added. Washaha's head was split open after being struck by a projectile, a doctor at the Palestinian Ramallah Hospital told AP on the same day. It was left to Levy and others to specify the details of "live fire." Levy reported that "the most moral army in the world fired an (M72 LAW) anti-tank missile at the house in which a wanted young Palestinian was hiding ... ran a bulldozer over the top of the house and destroyed it," using "a drill it calls a 'pressure cooker' – a rather disgusting drill it invented for itself." When the tactic of "pressure cooker," which involves shooting at the walls of the house that is surrounded, failed to persuade the suspect to come out and turn himself in, the IOF troops at around 7 AM bulldozed part of the outer wall of the house and fired projectiles into the building. Fire erupted in the house. At 11 AM, they issued an ultimatum, "giving Muatazz two minutes to surrender, without result. As the ultimatum expired, the army fired several artillery shells from close distance. They then stormed the burning house, killing Muatazz," Jan Walraven reported in the Palestine Monitor on this March 3. The four – apartment building was bulldozed and shelled out of use and its contents burned and vandalized. Four families suddenly found themselves on the street, waiting for charities. Washaha did not "resist" his arrest; he simply refused to give himself in. Released from an IFO jail only a few months ago, he knew very well what being imprisoned by the IOF meant. "I will be free here. Leave and do not worry about me. I will stay here and not surrender. I will not return to prison," he told a Palestinian civil defense worker who rushed in to extinguish the fire caused by the Israeli projectile. Those were his last words, quoted by The Electronic Intifada on last February 28. "They could have taken him as a prisoner, but they did not want him as a prisoner they wanted to kill him," his father Mr. Abdul – Rahim said. Similarly, his mother, Mrs. Eitzaaz Washaha, told Anadolu Agency: "Israeli forces could have arrested Washaha, but they were determined to kill him. My son wasn't armed. He was killed after the house was bombed." An Israeli Shin Bet officer, who goes under the name of Alon, gave permission to kill Muatazz because he refused to appear for an interview with him, according to Hass. "This was regarded as a personal affront by Alon," she wrote. The victim's brother, Tha'er Washaha, told Haaretz he implored Alon for permission to go inside and convince his brother to come out; Alon refused. However, despite the officially acknowledged "suspicion," an official army tweet, quoted by Los Angeles Times on the same day, convicted him as a "terrorist who resisted arrest." 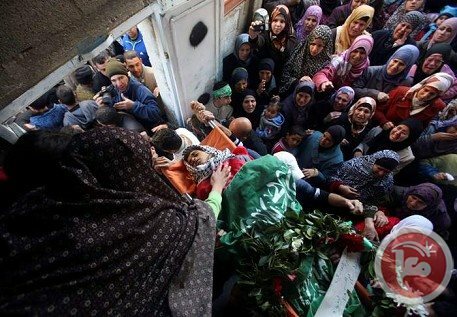 Pro – Israeli media and Israeli media, the latter being subjected to well – known strict military censorship, echoed this unconfirmed conclusion; for example, www.algemeiner.com on the same day headlined its report to conclude that a "Wanted Terrorist (was) Shot Dead by Israel Defense Forces." Disinformation was demonstrated by Israel Hayom, reportedly close to Israeli Prime Minister Benjamin Netanyahu's office; on the same day Hayom reported that "a firefight broke out" between the holed in victim and the besieging army brigade, but the witnesses on the site confirmed the Reuters' report that "no shots were heard from inside the home before the Israeli forces opened fire," a fact that is confirmed by the other fact that the raiding Israeli forces did not suffer the slightest casualty, which also refutes the IOF' claim that the man had an AK-47 rifle, another "story" that "Israel accepted ... with a yawn," according to Levy of Haaretz. The Palestinian Authority (PA) in a statement condemned Washaha's killing as an "assassination," a "crime" and a "deliberate" killing. PA's spokesman, Ihab Bsaiso, said it was an "example of the violence perpetrated on a daily basis against our population." In a letter sent to the UN Secretary-General, the President of the UN Security Council and the President of the UN General Assembly, Palestinian Ambassador Feda Abdelhady – Nasser said Washaha's killing indicates Israel's "pre-meditated intention of killing him." Israeli journalist Hass agrees further that his killing was a "cold-blooded assassination"; "The Israeli army did this deliberately," she wrote. "Israel's goal" was "to embarrass the Palestinian Authority and undermine its status" among its own people and Israel was "successful" as the "Palestinian Authority officials were absent from Washaha's funeral" the next day to avoid the angry crowds, estimated at more than five thousand, who were demanding an end to peace negotiations and to PA's security coordination with Israel. Gideon Levy had another interpretation for the motives of "The most moral army in the world," which was the title of his opinion column in Haaretz; "The Israel Defense Forces has also created a heartwarming name for all this: the "Tool of Disruption" – storming a civilian community for the purpose of causing panic and fear, and to disrupt its life," or "Sometimes these operations are conducted ... as a training routine in order to preserve the readiness of the forces and a demonstration of sovereign power" toward the Palestinians living under the Israeli military occupation since 1967, he wrote. Washaha's extrajudicial execution came on the same day the Amnesty International (AI) released its 87-page report recommending that the U.S., EU and the rest of the international community should suspend all transfers of military aid to Israel because "without pressure from the international community the situation is unlikely to change any time soon," Amnesty's Middle East and North Africa Director Philip Luther said. "Too much civilian blood has been spilled ... (and Israel's) unlawful killings and unnecessary use of force must stop now," he added. The AI reported it had documented the killings of 22 Palestinian civilians in the West Bank in 2013 and in all the cases the Palestinians did not appear to have been posing a direct and immediate threat to life: "The circumstances of all their deaths point to them having been victims of unlawful killings, including — in some cases — possible willful killings." "Several victims were shot in the back suggesting that they were targeted as they tried to flee and posed no genuine threat to the lives of members of Israeli forces or others," the report said. "In several cases, well-armored Israeli forces have resorted to lethal means to crack down on stone-throwing protesters causing needless loss of life" and "there is evidence that some individuals were victims of willful killings, which would amount to war crimes," it added. Since the U.S. Secretary of State John Kerry succeeded in resuming the Palestinian – Israeli peace talks on last July 29, the IOF killed more than 42 Palestinian civilians; Washaha was among the latest. Using "excessive force," "arbitrary and abusive force against peaceful protesters" and displaying "callous disregard" for human life, Israeli soldiers and police officers have been operating with "near total impunity," in a "harrowing pattern of unlawful killings and unwarranted injuries," "as a matter of policy," while the Israeli investigative system is "woefully inadequate," said Luther. The AI report accused Israel of "war crimes and other serious violations of international law." Israel's Ambassador to the UK, Daniel Taub, said that Amnesty was "obsessive" with a "focus on Israel" and accused the London – based rights organization of having "an agenda that has more to do with politics than human rights." His embassy in London told The Jewish Chronicle that the AI's report was merely a "stunt" filled with "unverifiable and often contradictory accounts." In Birzeit on that sad morning of last February 27, the elite military disproportionate force which the IOF used to liquidate Washaha acted as if it was intentionally determined to undermine the credibility of Israel's official diplomacy, represented this time by ambassador Taub, and to vindicate the contents of Amnesty's report which he tried to deny or at least to question. Ironically, Israeli PM Netanyahu, less than a week later, was in Washington D.C. lecturing a receptive American audience at the annual conference of AIPAC about drawing a "clear line ... between life and death, between right and wrong" and about the "moral divide!" 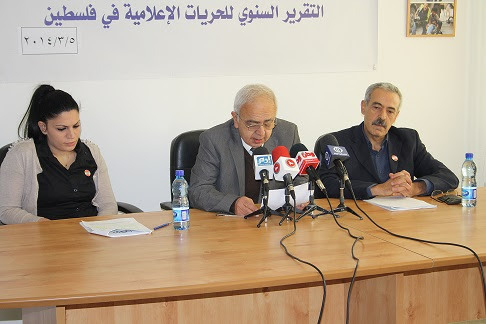 The Palestinian Center for Development and Media Freedoms (MADA) held its annual press conference to review its Annual Report on the status of Media Freedoms in Palestine during 2013. The conference was held at MADA's headquarter in Ramallah. The Chairman of the Board of Directors Dr. Ghazi Hanania, began the conference by expressing that 2013 witnessed a serious escalation of violations against journalists by the Israeli occupation forces (IOF) in west Bank, who violate the basic right of freedom of expression that is guaranteed in the international declaration of human right under article 19, and omitting commitment to international laws and acting above the law. Dr. Hanania added: "The reported Israeli violations do not mean the absence of Palestinian violations against media freedoms. Although we always confirmed that the Israeli violations against Palestinian journalists are the most dangerous, life threatening, and the most frequent, but the Palestinian violations are still high in numbers, recording a slight increase during 2013 especially in Gaza, where the number of violations were higher than in the West Bank. 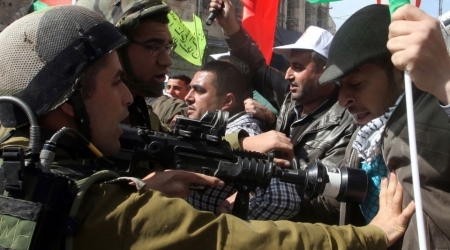 In the west bank media freedoms violations decreased comparing to 2012". Dr. Hanania then explained that the Fatah-Hamas division still constitutes a fertile ground for violations to arise in the West Bank and the Gaza Strip, and MADA and other institutions defending human rights and Media freedoms have continuously demanded the end of the Palestinian internal division because it's still a main cause of the continuing Palestinian violations against media freedoms, in addition the events in Egypt on the 30th of June and beginning of July had negative impacts on the development of media freedoms in Palestine as well. Dr. Hanaia thanked Open Society Foundation(OSF) for supporting MADA' s monitoring and documenting of media freedoms program. The total violations of media freedoms in Palestine during 2013 monitored by MADA were 229 violations, the Israeli occupation committed 151 violations, the equivalent of 66%, and various Palestinian parties in the West Bank and Gaza committed 78 violations, which is equivalent to 34%. While all Israeli occupation violations were committed in the West Bank only, the Palestinian violations were concentrated in Gaza by 50 violations, and violations reported in the West Bank were 28. Rimawi added "When comparing the total number of violations in 2013 with the previous year, you will find it relatively better, where violations fell from 238 to 229, and in terms of the nature of the violations, where no case reported of a journalist killed in Palestine, unlike in 2012 the Israeli occupation forces killed three journalists during its aggression on Gaza. Rimawi emphasized that MADA has monitored disturbing trends and patterns of violations this year, such as the heavy targeting of journalists in the West Bank by the Israeli occupation, where they were exposed to the greatest number of violations since 2008, especially in the province of Ramallah and Jerusalem, in addition to the security services in Gaza campaigns against journalists which tightened a rope around the voices of freedom of opinion and expression of journalists and media outlets. These violations embodied in eleven types: physical assault, detention, arrest, prevention from coverage, travel bans, interrogation, threat, raiding, closing and blocking, trial, and confiscation of equipment. MADA" monitored a total of 151 Israeli violations of media freedoms distributed among the cities of the West Bank only, and no Israeli violations monitored in Gaza. 2013 can be described as very difficult for journalists in the West Bank, where the number of violations on their rights increased from 101violations in 2012 to 151 in 2013. 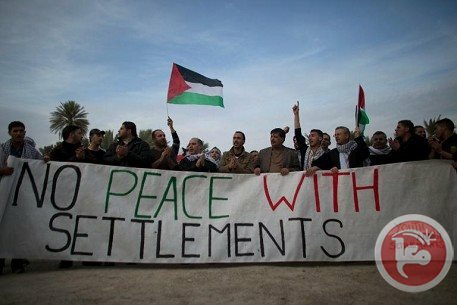 The main reason for this is the high number of popular resistance events in a number of West Bank cities and villages, where the Israeli occupation forces suppressed and attacked journalists during their attempts to cover these events, especially when the Israeli soldiers attack the peaceful demonstrators. MADA monitored about 60% of the occupation violations in Ramallah area (50 violations) and Jerusalem (41 violations). Israeli occupation forces have also committed violations in other cities in West Bank distributed as following; Hebron (20), Nablus (23), Bethlehem (8), Jenin (2), Tulkarem (1), Salfit (1) and Jericho (5). Regarding types of violations MADA has monitored seven forms of violations committed by the occupation forces against the journalists in 2013; physical assault (87), detention (30), arrest (13), prevention from coverage (15), travel bans (1), interrogation (1), and trial (4). In 2013, various Palestinian parties committed a total of 78 violations against journalists and media outlets in Palestine. 63% of the total of violations were concentrated in Gaza (50 violations), and 37% of them in the West Bank (28 violations), and so the violations monitored over the past year were more by four violations of the total monitored by MADA during the year 2012 (74 violations). Media freedoms violations has been influenced negatively over the past year, by the repercussions of the events in Egypt, especially in Gaza, where the journalists were arrested, interrogated, and threatened simply for expressing their opinions about what is happening in Egypt in general, and in particular about the events relating the isolation of the former Egyptian President Mohamed Morsi, which caused a deterioration in the status of media freedoms in the Gaza. In the West Bank there is still a gradual improvement of media freedoms, but the internal Palestinian division remains one of the main reasons that lead to the continuation of human rights violations in Palestine. Palestinian violations were concentrated in four major cities: Gaza (35 violations), Ramallah (11 violations), Khan Younis (11 violations) and Hebron (6 violations). Because media and journalists are concentrated in the cities of Gaza and Khan Younis in the Gaza Strip, while in the West Bank, Ramallah city is packed with popular opposition protesting some policies of the Palestinian National Authority, and the city of Hebron is considered one of the most cities with popular support for Hamas. The rest of the cities witnessed a relatively less number of violations: Bethlehem (5), Deir al-Balah (3), Salfit (3), Nablus (2), and one violation in each of Tulkarem and Rafah. Palestinian violations epitomized of 9 forms: arrest (22), detention (11), prevention from coverage (6), threat (5), physical assault (4), closing and blocking (2), raiding (1), interrogation (24) and confiscation of equipment (3). 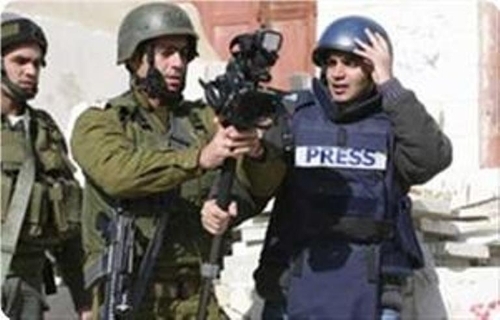 In its annual report, MADA expressed its grave concern at the unprecedented escalation of the Israeli occupation forces violations against journalists in the West Bank, and demanded the official international bodies to force the Israeli occupation authorities to abide by international conventions which guarantee the right to freedom of expression, in particular Article 19 of the Universal Declaration of Human Rights,to hold those responsible for the violations accountable and to pressure the Israeli authorities to allow Palestinian journalists freedom of movement between the provinces and the various Palestinian cities in the West Bank, including Jerusalem, and Gaza strip. Regarding the Palestinian violations against Media Freedom, MADA stressed the need and the importance to respect freedom of expression, a right guaranteed in the Palestinian Basic Law, and to hold those responsible for the violations accountable. MADA also calls the Official Palestinian parties to stop all forms of attacks on journalists and enable them to work freely and safely, Allow for newspapers issued in the West Bank and Gaza Strip to be distributed in both parts of the country, and to enact the right of access to information law. The report of Freedoms Committee in the Palestinian Journalists Syndicate revealed that the Israeli army violations and aggressions against the Palestinian journalists increased in 2013. The report, which was announced at a press conference held at the headquarters of the Journalists' Syndicate in Ramallah exposure that journalists in the Jerusalem area to record highest rate of assault by Israeli occupation army. The press conference opened by deputy journalists syndicate Nasser Abu Bakr In the presence of Undersecretary of the Ministry of Information D. Mahmoud Khalifa. Palestinian Journalists Syndicate Abdel Nasser AL-Najjar Said the report is important because it helps to Promote freedoms and raise the ceiling on censorship, accountability and helps to strengthen the role of the media professionally and nationally. Abdel Nasser al-Najjar explained steps and initiatives carried out by the Palestinian Journalists Syndicate at both local and international level especially with the international and the Arab federations to protect journalists. Al-Najjar added that freedom committee report revealed that Israeli military targeting of journalists in 2013 shows that the attacks and risks which Palestinian journalists are facing are increasing during the coverage events. Mohammed Al-laham chairman of freedoms committee in the Palestinian Journalists Syndicate said that the report consists eighty page and it contains four major points which are Israeli violations, and violations of the security services of the Hamas government in the Gaza Strip, violations of the security services of the Palestinian Authority in the West Bank,and violations against Palestinian media out side Palestine. Freedoms committee chairman Mohammed Al-laham in PJS said violations against journalists reached the limit of 237 violations, adding that violations in the Gaza Strip 87 violation and in the West Bank, were 50 violations. Al laham explained figures show that Israel, was main aggressors on the press freedom in 2013 by varied attacks such as dozens injured by live and rubber ammunition, and many reports shows that 26 reporters injured, Tear gas also led to wounding 38 reporter and photographer and sound bombs Led to the injury of 22 of them, the report shows that tear gas and sound bombs burned and injured many reporters and affected auditory and nervous system. Israel other violations against journalists according the report that 67 case ware preventing journalists access to event places and detained them for hours in degrading conditions, also Journalists threatened to be killed by IOF soldiers, in addition to that 45 cameraman and reporter had been Beat over the past year. The fourth point in the report was violations against journalists outside Palestine including kidnapping and disappearance of a number of journalists especially journalists Moheeb Nawati and he is still missing in Syria since 2010 and also continue to search for a Palestinian journalist Bashar Qaddoumi. The report said that PJS has followed this file with the Palestinian political level as well as with Syrian Journalists Syndicate without access any results. Also PJS followed the kidnapping of Palestinian journalist Bakr Atyani Al-arabiya correspondent in the Philippines who was kidnapped by Abu Sayyaf terrorist group until he was released almost after 18 months. Call the international federations to put pressure on Israel to stop attacks on journalists & call of Human rights organizations to protect journalists in Palestine from Israel. Formation of an international & Arab coalition to define Israel's violations against journalists and accountability. Work on delivery Israeli attacks on journalists to the United Nations and the International Criminal Court. Continuing campaign to claim freedom of movement for Palestinian journalists. About Palestinian violations against journalists in Gaza and the West bank Freedoms Committee at Journalists' Syndicate called to introduction of legislative and legal texts related to the right of access information and accessible and updated legislation to ensure respect for freedom of opinion and expression in Palestine. Support the independence of media organizations & develop mechanisms and tools, methods, and crews monitoring and documenting violations. Issuing monthly, quarterly and annual report on the status of press freedoms in additons to work for reduce the effects of internal division on the freedoms and dealing with the media. Palestinian authorities must respect Palestinian Basic Law, which guarantees freedom of expression. Committee explained that it would not only monitor violations but it will punish all individuals and those responsible for the violations of the right of media freedoms, saying it will strengthen the partnership with government agencies concerned media and journalists' union and civil society institutions and legal expertise and specialized academic. The Committee also noted the need for attention undergraduate academic curriculum for the media saying it will work on organizing sessions of occupational safety to reduce the risk of violations and abuses against journalists. According to data published by an Israeli governmental body, the Israeli authorities have demolished 11 Palestinian buildings in the Negev, south of the 1948 occupied territories, under the pretext of illegal construction. Israel Land Authority said in a press statement that its inspectors, in cooperation with the Ministry of the Interior and the Green Patrol, demolished this week eleven illegal buildings in the Negev. The Israeli authorities demolished a tent on an area of 70 meters, a residential building, a hut and a mobile home over an area of 50 meters in the town of Kseifa. Bulldozers belonging to the municipality in the city of Haifa, north of occupied Palestine, demolished on Tuesday a restaurant owned by a Palestinian citizen from the village of Ras al-Ain. Two decades after peace efforts began, more than 60 percent of the West Bank remains under sole Israeli control, and the fate of this territory is a key point of contention in U.S.-led Israeli-Palestinian negotiations. The division of the West Bank into islands of Palestinian self-rule and areas under full Israel control was devised as part of interim peace agreements in the 1990s and meant to be temporary, but has remained in place for lack of a final peace deal. This glance includes new figures published Wednesday by the U.N. Office for the Coordination of Humanitarian Affairs, which conducted an extensive survey of Palestinian communities in the territory under full Israeli control, known as Area C.
Palestinians in Area C: 297,900, or nearly double an estimate from several years ago previously used by the U.N.
Palestinians in Areas A and B, which are under limited Palestinian self-rule: 2.1 million. Israeli settlers in Area C: some 350,000. Palestinian towns, villages and hamlets that are fully or partially in Area C: 532. Israeli settlements in the West Bank sanctioned by the government: about 120. Israeli settlement outposts not formally authorized but backed by the state: about 100. Seventy percent of Area C is allocated for the use of Israeli settlements or the Israeli military, the U.N. says. In the rest, Palestinian construction, while theoretically possible, is heavily restricted. Palestinian self-rule areas cover about 38 percent of the West Bank. Work in Israel and Israeli settlements: 24 percent. Work for the Palestinian self-rule government: 23 percent. Farming and herding: 34 percent. 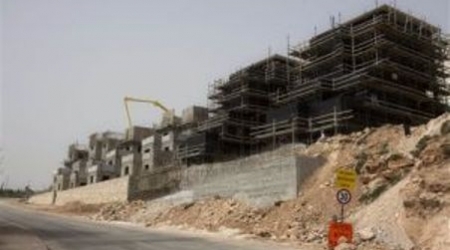 Palestinians in Area C requested 444 building permits from Israel in 2010. Of those, four were granted, according to the Israeli group Bimkom, which advocates for equal planning rights for Palestinians. In Israel's West Bank settlements, work began last year on 2,534 apartments, compared to 1,133 in 2012, or an increase of 123 percent. Nationally, Israel had a 3.4 percent increase in housing starts in that period, according to Israel's Central Bureau of Statistics. The Ahrar Center for Detainees Studies and Human Rights have reported that Israel is currently holding captive 21 Palestinian women, at the Hasharon prison, under very dire conditions, and ongoing violations. The center has reported that the detainees face constant harassment, and are repeatedly attacked and searched by the soldiers who continuously break into their rooms. Head of the Ahrar Center, Fuad al-Khuffash, said that detainees are also denied the right to medical attention, and are not provided with basic humanitarian needs. The 22 female detainees are ‘Alaa’ Qassem Abu Zeitoun, Aayat Mahfouth, Nahil Abu Aisha, En’aam al-Hasanaat, Entisar Sayyad, Narmin Salem, Rasmiyya Balawna, Reem Hamarsha, Deema Sawahra, Tahreer al-Qanny, Hanin Abu al-Hummus, Zeinab Abu Jom’a, Maram Hassouna, Falasteen Najm, We’am Aseeda, Lama Hadayda, Donia Waked, Nawal Sa’dy, Lina al-Jarbouni, Mona Qa’dan, Ayaat Mahfouth and Rana Abu Kweik. In a separate report, the Ahrar Center said Israel is holding captive eleven democratically elected Palestinian legislators, and one minister. It is worth mentioning that the army kidnapped 312 Palestinians, including four women, two journalists, and three lawyers, in different violations and invasions in the occupied territories in February. The Ahrar Center for Detainees Studies and Human Rights has reported that Israel is currently holding captive eleven democratically elected Palestinian legislators, and one minister. In a press release, head of the Ahrar Center, former political prisoner, Fuad al-Khuffash, stated that most of the imprisoned officials are held under arbitrary Administrative Detention orders, without charges. “In many cases, renewed detention orders were issued against them just a day or a few days before their release date”, al-Khuffash said, “All of the detained legislators are former political prisoners who spent years in Israel prisons. The detained legislators are Mahmoud Abu Teir, Yasser Mansour, Mahmoud Ramahy, Nizar Ramadan, Mohammad Bader, Ahbdul-Jaber Foqaha, Ahmad Attoun, Mohammad Natsha, Marwan Barghouthi, and Ahmad Sa’adat. The detained minister is Issa Ja’bary, who was recently rearrested and imprisoned by Israel without charges. “They are rarely allowed family visits, and are facing very harsh living conditions”, al-Khuffash said, “Some of them have chronic diseases; they need professional and adequate medical attention, but are denied this right”. documenting the 2013 killing of a Palestinian teenager by Israeli forces in the Ramallah village of Budrus. Samir Awad, 16, was shot three times in the back of the head, leg and shoulder as he fled Israeli soldiers in January 2013. Amnesty said Samir's killing may amount to an extrajudicial execution, or willful killing, which is considered a war crime under international law. The video was released to accompany a report published last week which documented the routine use "unnecessary, arbitrary and brutal force" by Israeli forces in the occupied West Bank. 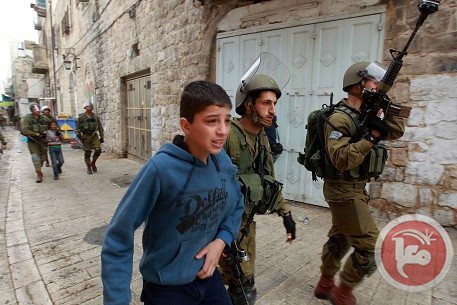 Israeli forces arrested 31 Palestinian children during the second half of February, in addition to injuring several others, according to the Palestinian Authority Ministry of Information. In a report, the ministry recorded the details of the arrests of 31 Palestinians between the ages of 13 and 18 in the Palestinian territories between Feb. 16 and Feb 26. The following is a list of the arrests, according to the report. On Feb. 16, Israeli forces raided the al-Issawiya neighborhood of East Jerusalem and detained Muhammad al-Masri, 14, Muhammad Dari, 14, Yazen Abeed, 17, and 16-year-old Yousef Abeed. On Feb. 17, Israeli forces raided Beit Ummar north of Hebron and detained Muhammad Awad, 17, Muhannad al-Alami, 16, and 16-year-old Naseem Abu Maria. On Feb. 18, Israeli forces in Hebron detained Ahmad al-Rajabi, 17 and Mahmoud Abu Sanina, 15. Israeli soldiers also raided the village of Nabi Saleh north of Ramallah and arrested Basil al-Tameemi, 15, in addition to raiding Bethlehem and arresting 17-year-old Adil al-Harimi. On Feb. 20, Israeli forces raided Dura in the Hebron district and arrested Muhammad Amro, 17. Meanwhile in Kafr Qaddum near Qalqiliya, Israeli forces arrested Bahaa Ishtawi, 16. In Gaza, Israeli forces arrested 18-year-old Ataa Fiyad. 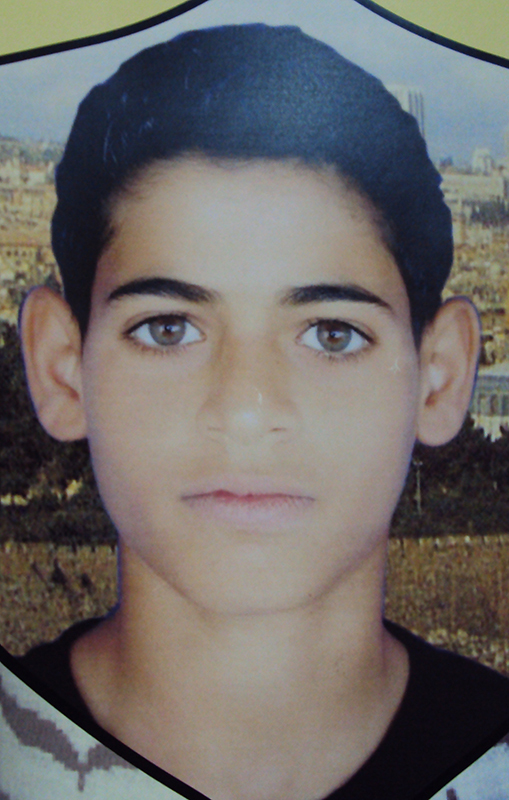 On Feb. 21, Israeli forces in the Old City of Jerusalem arrested 13-year-old Iyad Aseela. On Feb. 22, also in Jerusalem's Old City, Israeli forces arrested 18-year-old Muhammad al-Salayma. Meanwhile, in Beit Fajjar east of Bethlehem, Israeli forces arrested Muhammad Taqaataqa, 16, and 14-year-old Shaahin Shaahin. On Feb. 23, Israeli forces arrested Muhammad Abu Rian, 17, and 18-year-old Ahmad Mansour in Halhul north of Hebron. On Feb. 24, Israeli forces raided Aida refugee camp near Bethlehem and arrested 17-year-old Safwan Abu Sarour. Meanwhile, Israeli soldiers in Hebron arrested Sufjan Hadeib, 16 and Yahya Quneibi, 18. 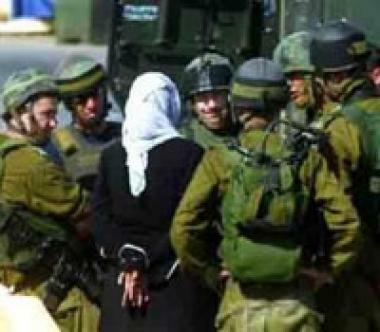 Additionally, in the village al-Sawiya south of Nablus, Israeli forces arrested Issa Abu Antar, 18. On Feb. 25, Israeli forces in Hebron arrested Muhammad al-Saada and Amer al-Rajabi, both 16. In Halhul, Israeli soldiers arrested Mohammed Abu Rayya and Mohammed Zamareh, both 17. On Feb. 26, Israeli forces raided Azzun east of Qalqiliya and arrested Sinan Radwan, 18. In Deir Nidham, Israeli soldiers arrest Tamim Tamimi, 18. Additionally, at the Zaatara checkpoint south of Nablus, Israeli forces arrested Ayham Adela, 17. According to the PA Ministry of Prisoners' affairs, there are 187 Palestinians under the age of 18 currently held in Israeli jails. Some 5,200 Palestinians were being held in Israeli jails as of October 2013, according to the Palestinian Authority's Ministry of Prisoners' Affairs. Another 1,280 are in Israeli prisons for being inside Israel without permits. A UN counter-terrorism expert has published the second report of his year-long investigation into drone strikes, highlighting 30 strikes where civilians are reported to have been killed. The report, by British lawyer Ben Emmerson QC, identifies 30 attacks between 2006 and 2013 that show sufficient indications of civilian deaths to demand a ‘public explanation of the circumstances and the justification for the use of deadly force’ under international law. States must ‘conduct a prompt, independent and impartial fact-finding inquiry and to provide a detailed public explanation of the results’ - Ben Emmerson Britain and the US conduct strikes as part of the armed conflict in Afghanistan, and the US also conducts covert strikes in Pakistan, Yemen and Somalia. Although Israel has never officially acknowledged using armed drones, Emmerson met with Israeli officials in the course of preparing his report and lists seven attacks in Gaza among those requiring investigation. This report expands on an argument for the legal obligation for states to investigate and account for credible claims of civilian casualties, which Emmerson first laid out in his previous report, presented to the UN General Assembly in October. Related story – US must release data on civilian drone casualties, says UN report He writes: ‘in any case in which there have been, or appear to have been, civilian casualties that were not anticipated when the attack was planned, the State responsible is under an obligation to conduct a prompt, independent and impartial fact-finding inquiry and to provide a detailed public explanation of the results.’ A February 2010 attack in Afghanistan serves as a ‘benchmark’ of the kind of disclosure that should follow claims of civilian casualties. After a US drone attack on a convoy of trucks reportedly killed up to 23 civilians, the International Security Assistance Force (Isaf), which runs international operations in Afghanistan, partially declassified the findings of its internal investigation. Emmerson writes that this report strongly criticised the crew’s actions and revealed ‘a propensity to “kinetic activity” [lethal action]‘. This level of transparency is rare. The most recent incident featured in Emmerson’s report is a December 2013 attack that hit a wedding procession near Rada’a in Yemen, killing at least 12. Multiple sources have identified numerous civilian casualties among the dead, including a Human Rights Watch investigation published last week. Three unnamed US officials told Associated Press after the publication of Human Rights Watch’s report that an internal investigation had found only alleged militants were killed – but no results of this investigation have yet been officially released. 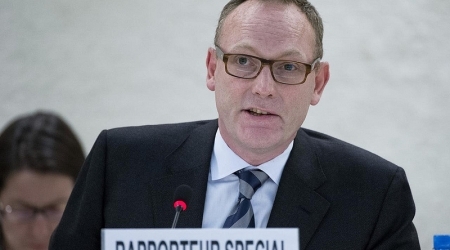 Information is particularly scarce for activity in Somalia, Emmerson notes. The only strike from the country in the report is the February 2012 strike that killed former British citizen Mohamed Sakr, whose case the Bureau has reported on as part of its investigation into the British government’s deprivation of citizenship. Neither the US nor the UK routinely publish details of their drone operations. The UK states that it has killed civilians in only one incident in Afghanistan, a March 2011 strike that killed four civilians. The US has repeatedly dismissed the Bureau’s estimate that at least 400 civilians have died in Pakistan drone strikes as ‘ludicrous’; the CIA director John Brennan has said that claims of high civilian casualties amount to ‘disinformation’. Emmerson notes that operations that kill civilians are not necessarily illegal under international law, but states have a duty of transparency where there are credible allegations of non-combatants being harmed. The report does not take a position on the legality of drone strikes away from the battlefield, but says there is an ‘urgent and imperative need’ for international agreement on the legal arguments advanced in favour of covert lethal action. The US has argued that its strikes are legal on two grounds: they are legitimate acts of self-defence against an imminent threat, and they are part of an armed conflict against an enemy, al Qaeda, and its ‘associated forces’. Emmerson asks a series of questions – about the thresholds for action in self-defence, the definition of ‘imminent’ threat, al Qaeda’s current state, and more – on which he says the international community must reach consensus. Last week the European Parliament voted 534 to 49 in favour of a motion calling on the EU to develop a ‘common position’ on drone strikes and other targeted killings. To date, Europe has remained largely silent on the issue, but the motion expressed ’grave concern’ over drone strikes ‘outside the international legal framework’ and called on member states not to ‘facilitate such killings by other states’. The UK has refused to clarify whether it shares intelligence with the US that could lead to drone strikes in Pakistan; in January the Court of Appeal ruled that any attempt to force the government to disclose such information could endanger international relations. In December, Emmerson told a meeting in parliament that such intelligence-sharing is ‘inevitable’ owing to the closeness of the relationship between the US and UK. ‘It would be absurd if it were not the case,’ he added. Yousuf Abu Laban, head of the wounded and martyrs society in Bethlehem, said that the Israeli occupation forces (IOF) deliberately target the eyes of young Palestinian protestors with the intention of causing incurable injuries. 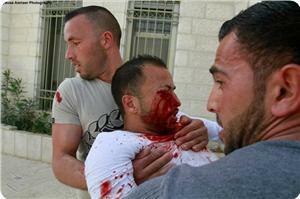 "We have spotted many incidents in which Palestinian protestors were sniped in the eye. A few days ago, a Zionist sniper was seen sitting on the ground intentionally in order to shoot a young man in his eye with a rubber bullet," Abu Laban stated in press remarks. He added that the Israeli soldiers target particularly the right eye of protestors because the eyesight dominance is in this side, affirming that 80 percent of 20 Palestinians who suffered eye injuries during the second intifada were shot in their right eyes. Abu Laban noted that 20-year-old young man Mohamed Sabah recently underwent surgery to remove his right eye after he suffered an injury from a rubber bullet fired by an Israeli soldier last month during clashes in Bethlehem. Center: 3 Palestinians killed, 308 detained during Feb.
A Palestinian monitoring group said three Palestinians were killed and 308 detained by the Israeli occupation during February. Ahrar Center for Prisoners’ Studies said Saturday in a statement that two of the deaths were from the occupied West Bank, and one from the Gaza Strip. 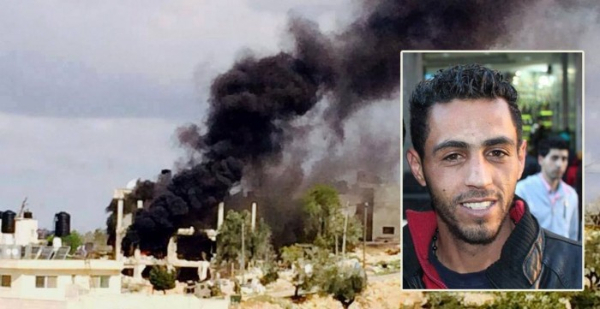 Moataz Weshha, 25, from Birzeit, was assassinated on Feb 27 in a home raid, and Ibrahim Mansour, 26, from Gaza, shot dead on Feb 14 in a border shooting, and Jehad al-Tawil, 47, died on Feb 25 of injuries he suffered while in Be’r al-Saba’ prison. As for detentions, 73 Palestinians were arrested from Hebron, the highest number amongst the West Bank cities and districts, according the report. While east Jerusalem saw the arrest of 56 Palestinians. It is followed by Nablus with 50, including Director of Solidarity Foundation for Human Rights Fares Abu Hasan, lawyers Mohamed al-Abed and Osama Maqboul, and journalist Ahmed al-Beitawi. In the Gaza Strip, the center spotted 11 cases of detention, including three fishermen, one patient at crossing, and seven others allegedly for trying to go over the border line. Among those arrested were four Palestinian females: Reem Hamarsha from Jenin, Rasmiyeh Balawna from Tulkarm , Nirmeen Salem from Nablus, and Ahlam Isa from Qalqilya. Most of the West Bank detainees were held at checkpoints, home raids, and through undercover Israeli soldiers cracking down on Palestinian protesters. There violations came as Amnesty International issued Trigger-happy: Israel’s use of excessive force in the West Bank report which describes mounting bloodshed and human rights abuses in the Occupied Palestinian Territories (OPT) as a result of the Israeli forces’ use of unnecessary, arbitrary and brutal force against Palestinians since January 2011. This week has seen the promotion of yet more anti-democratic legislation in Israel. A new law that received final approval by the Knesset gives, for the first time, separate representation to Muslim and Christian Palestinian citizens on a national employment commission. The bill’s sponsor, Likud MK Yariv Levin, was clear about his motivation: “[the Christians are] our natural allies, a counterweight to the Muslims who want to destroy the country from within.” An editorial in Israeli newspaper Haaretz described it as “racist legislation” by “nationalist zealots”. Meanwhile, an amendment has been proposed to the NGO Bill – again, by a member of Netanyahu’s ruling party – which seeks to ban certain groups from registering with the Israeli Registrar of Non-Profits. Activities targeted by lawmakers include “advocating the boycott, divestment, or sanctioning of Israel or its citizens” and “denying Israel’s existence as a Jewish and democratic state.” In the words of MK Miri Regev: “Israel is not a regular country that can allow itself to lose its identity”. 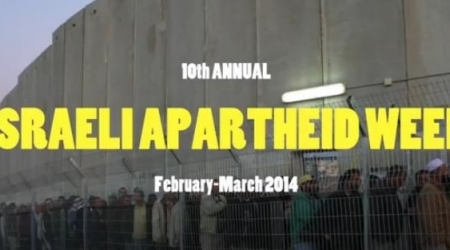 These developments take place as the annual Israeli Apartheid Week is marked with dozens of events around the world. The response by the Israeli government and various lobby groups to the accusation of apartheid is a mix of tokenism, whatabouttery, and smears. But there’s one report Israel particularly hopes people don’t read. The document in question comes from the UN’s Committee on the Elimination of Racial Discrimination (CERD)[ PDF], and contains the concluding observations following Israel’s periodic review in 2012. It should be read in its entirety, but I will highlight some of its findings. It blows out of water the excuses, obfuscations, and outright denial of international law typically used by Israel and its apologists. * “Discriminatory laws especially targeting Palestinian citizens of Israel”. * Israel reminded of “the prevention, prohibition and eradication of all policies and practices of racial segregation and apartheid” and urged to “prohibit and eradicate any such policies or practices” which violate Article 3 of the Convention (on “racial segregation and apartheid”). * “two sets of laws, for Palestinians on the one hand and Jewish settlers on the other hand who reside in the same territory, namely the West bank, including East Jerusalem”. * Israel urged “to end its current practice of administrative detention, which is discriminatory and constitutes arbitrary detention under international human rights law”. The reason why the Israeli government sees talk of apartheid as so problematic is because it shifts the discussion from a ‘security’ paradigm to a framework of institutionalised racism. When Netanyahu or AIPAC speak of ‘delegitimizaiton’, what they really mean is that Israel’s pursuit of policies most of the world considers illegitimate – segregation, collective punishment and ethnic cleansing – is being subjected to unprecedented scrutiny and opposition.